Utah Sen. Orrin Hatch (R.) has privately told friends he plans to retire at the end of his term next year, and if he does, Mitt Romney will run for his seat, according to a new report. They spoke on condition of anonymity, because the plans are not yet public, and the subject is sensitive to Hatch. Already, though, the expected developments are reshaping the state’s political landscape. 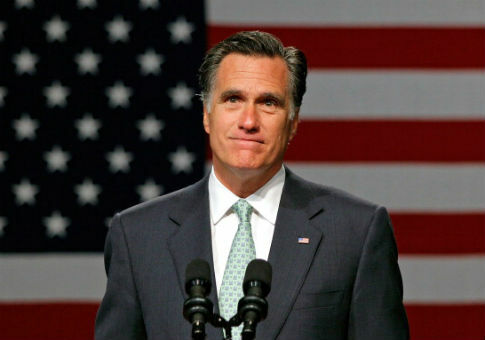 Derek Miller, the CEO of Utah’s World Trade Center who said he was exploring a bid for the seat earlier this year, said the plan for Romney to run had been "reported to me as a ‘done deal.’" He added, "if Romney runs, I will fully support him." As The Atlantic first reported in April, Romney began exploring a Senate bid earlier this year—privately discussing the prospect with advisers, friends, and Senate Majority Leader Mitch McConnell, who subsequently confirmed the conversations to reporters. Romney, who owns a home near Salt Lake City and enjoys widespread popularity in the state as the first Mormon to have won a major-party presidential nomination, has made clear he will not run unless Hatch decides to bow out. Republicans in Utah have been quietly working behind the scenes all year to convince Hatch—who, at 83 years old, is the longest-serving Republican Senator in Washington—that it’s time to bring his career to an end. Polls show a large majority of Utahns want him to retire, and he appears extraordinarily vulnerable to a primary challenge. Some GOP leaders in Utah worry that he will lose to an unpredictable insurgent candidate with few ties to the party establishment. According to sources close to Romney, he has several reasons to be interested in the seat, one of which is his victory would be nearly assured in a red state where he enjoys broad popularity. Romney lives near Salt Lake City and was the first Mormon to clinch a major presidential nomination when he led the Republican ticket in 2012. He also successfully led the Salt Lake Organizing Committee when it hosted the 2002 Winter Olympics. Romney, who mounted an unsuccessful bid in 2008 for the Republican nomination, lost the 2012 race to President Barack Obama, and his friends describe him as eager to get off the sidelines after years of losing. His last successful candidacy was a 2002 bid for Massachusetts governor, and he served only one term. Romney has also reportedly told friends he's alarmed by President Donald Trump's job performance and the long-term effects of Trump on the party. Romney was harshly critical of Trump during last year's Republican primary, making a memorable speech where he called the future president a "fraud." However, Hatch spokesman Dave Hanson told Coppins that Hatch has not made a final decision about whether to seek reelection and dismissed the story as a "carbon copy" of another piece he wrote in April. "Nothing has changed since The Atlantic published a carbon copy of this same story in April, likely with the same anonymous sources who were no more informed on the Senator's thinking than they seem to be now," Hanson said. "Senator Hatch is focused on leading the Senate's efforts to pass historic tax reform, confirming strong judges to courts around the country, and continuing to fight through the gridlock to deliver results for Utah. He has not made a final decision about whether or not to seek reelection, but plans to by the end of the year." A Romney spokesman did not comment on the report to Coppins. This entry was posted in Politics and tagged Mitt Romney, Orrin Hatch, Utah. Bookmark the permalink.